This Blue Crab Boat, crafted with impressive attention to detail, is sure to be a catch. This is an item that will sail off the shelves with your seafaring customers. 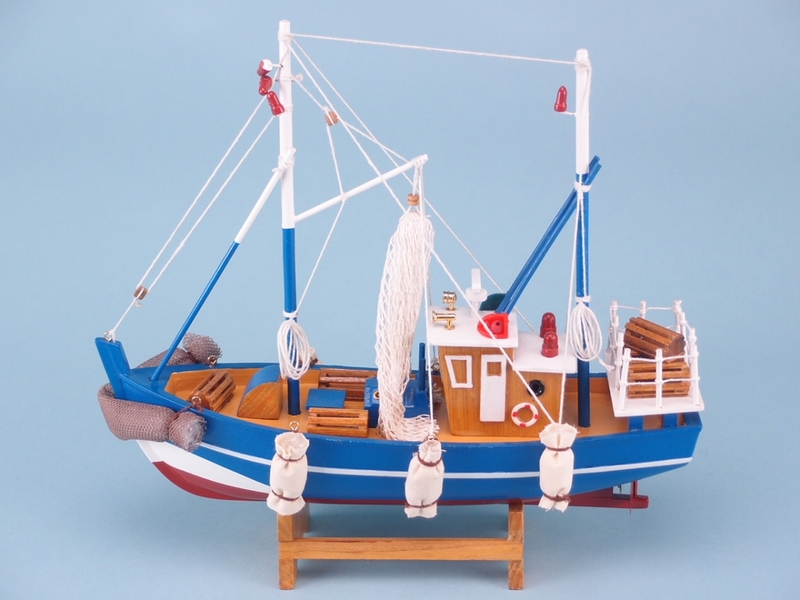 If you are interested in stocking more nautical themed products in your store, this Blue Crab Boat is perfect. 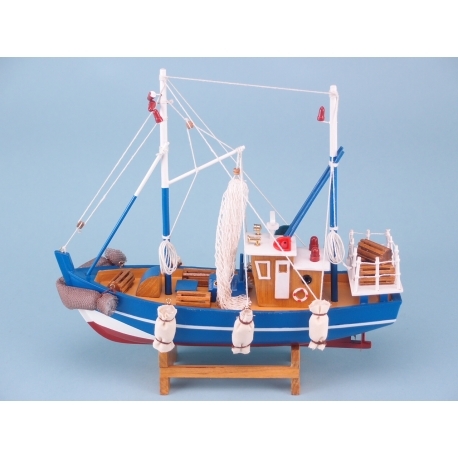 This model of a crab boat is part of our nautical giftware range and will appeal to customers with an interest in boats and the sea. It has been crafted with impressive attention to detail, from the fishing nets and the wooden crab cages, right up to the lights on the masts. The detail continues in the paintwork, which features nautical colours alongside the wooden effect. Once stocked, this is an item that will sail off the shelves with your seafaring customers.